Quality care is not complete without understanding patients' level of satisfaction, and just because you aren't hearing a lot of negative feedback doesn't mean patients are satisfied. A simple yet effective way to get feedback from your patients is through online surveys. 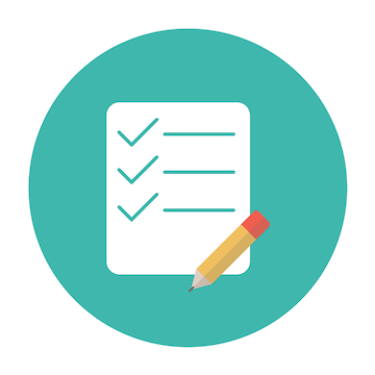 Below we outline our top 5 tips for creating online patient satisfaction surveys. If you can't simply and clearly state the goal of your survey, chances are you will end up with results that are difficult to analyze. Spend time up front identifying why you are creating the survey and what you hope to accomplish with it. Even a few minutes of up-front planning lead to more useful responses. A single-objective, focused, short survey leads to higher response rates and lower abandonment rates. Create questions that are as specific as possible and don't assume survey takers understand abbreviations or jargon. Sending out reminders to those who haven't responded can help improve response rates. People appreciate being paid for their time and research has shown that incentives can greatly improve response rates. The incentive doesn't have to be grandiose; just make it applicable to the audience you hope to attract. Recently a client followed our recommendations and converted their paper survey into an electronic format on their CaredFor app. The results were a nearly 40% conversion to completed surveys (higher than their paper-based method). The digital format allowed the client to instantly analyze the data, as opposed to first needing to enter all the results from the paper surveys. With CaredFor, clients can deliver HIPAA compliant surveys to their patients. These surveys are delivered through the client’s patient engagement app for iOS and Android. The app prompts patients to complete the survey and even reminds them when the survey end-date is near. Using the CaredFor platform, clients are able to create robust surveys using a variety of question formats including scale, ratings, multiple choice, and open-ended questions. The platform tracks in real-time the performance of each survey. Once a survey is complete, the client can export the results or integrate the reporting into their EMR using CaredFor’s API. Interested in learning more about CaredFor? Enter your email address in the form below to be contacted by someone on the CaredFor team.